Discover the fascinating history and meaning behind the documents of freedom that founded our country -- The Declaration of Independence, the Constitution, and The Bill of Rights -- in a fun, engaging book that puts only the most exciting tidbits front and center! 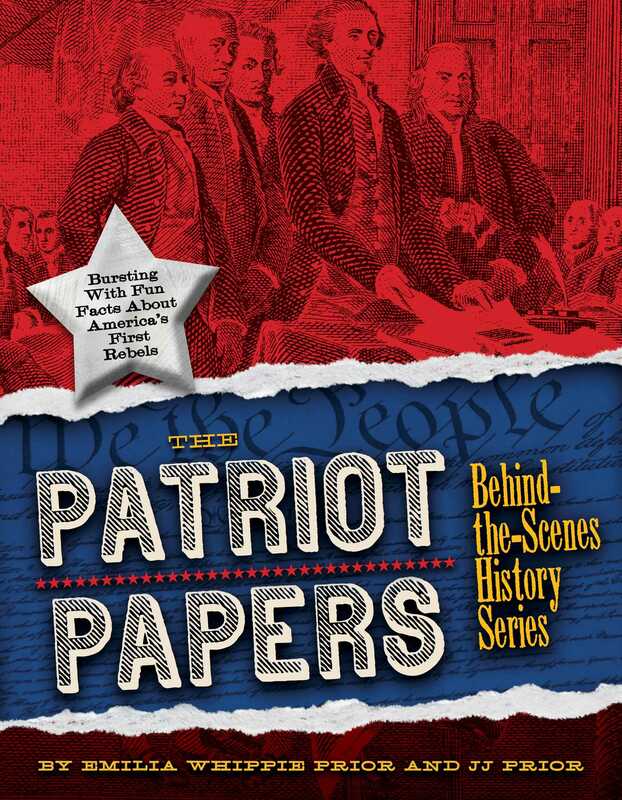 This fun and colorful presentation of the most significant documents that founded our country sheds new light on THE PATRIOT PAPERS. With call-outs and bursts that highlight and explore the key words and statements that make up the Declaration of Independence and the Bill of Rights, as well as stories about the American rebels who drafted them, this new book makes American history come alive in "kid speak" like never before. Emilia Whippie Prior teaches the fifth and sixth grades in a small town school in New Hampshire. She was born and raised near Keene, New Hampshire, also the hometown of Barry Faulkner, who painted the murals above the Declaration and Constitution in the National Archives building. Emilia has degrees in education and social sciences, with a focus in history and geography. She enjoys traveling, arts, theatre, and inspiring her students. She lives in a 1781 colonial farmhouse with her husband, JJ Prior. JJ Prior grew up in Weymouth, Massachusetts, also the birthplace and hometown of Abigail Adams. He holds a master's degree in education and is a fifth grade teacher in Keene, New Hampshire. JJ enjoys photography and the outdoors, and spends much of his time lost in thought. JJ lives in a 1781 colonial farmhouse with his wife.